The California Space Grant Consortium has arranged with the three California NASA Centers for the development and delivery of webinars for our community college students and faculty. We are grateful to our partners at NASA Ames Research Center, Jet Propulsion Laboratory, and Armstrong Flight Research Center for their help and support. It is HIGHLY preferred that everyone attend the webinar live, however we realize that some students may have classes at the same time and are unable to attend. NASA Ames will record the webinar and we will make the archive link available to you on this page. Upcoming Webinars: Check back for information about the exciting speakers and topics we will be presenting in the future. July 21, 2017, 1:00-2:00PM: Albion H. Bowers is the Chief Scientist at NASA’s Neil A. Armstrong Flight Research Center, Edwards, Calif. Appointed to this position in March 2014, Bowers is part of the NASA Armstrong strategic planning team that is developing research concepts for the future of aerospace. As part of that team, Bowers is responsible for defining NASA Armstrong’s strategic direction for the Center, including advanced aeronautical designs, science, research and space technologies. Prior to his present position, Bowers served as Director of Dryden’s Aeronautics Mission Directorate and as a project manager. He also served as the Chief of the Aerodynamics Branch from 2002 to 2004, Deputy Director of the Research and Engineering Directorate from 2004 to 2008, Special Assistant to the Associate Administrator of Aeronautics in 2008, Director of Aeronautics Projects 2008 to 2010, and the Associate Director of the Research and Engineering Directorate from 2010 to 2014. 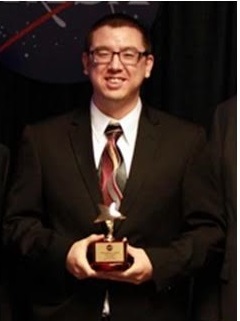 As a research engineer specializing in aerodynamics and systems engineering, Bowers has been involved in a number of projects involving aerodynamics, boundary layer airflow, fundamental fluid dynamics, flight mechanics, advanced controls, and structures research at NASA Dryden. Bowers earned a Bachelor of Science in aeronautical engineering and a Master of Engineering from California Polytechnic State University, San Luis Obispo. He began his career with NASA in the Graduate Student Research Program in 1982. Abstract: For nearly a century Ludwig Prandtl’s lifting-line theory remains a standard tool for understanding and analyzing aircraft wings. The tool, said Prandtl, initially points to the elliptical spanload as the most efficient wing choice, and it, too, has become the standard in aviation. Having no other model, avian researchers have used the elliptical spanload virtually since its introduction. Yet over the last half-century, research in bird flight has generated increasing data incongruous with the elliptical spanload. Based on research we present a unifying theory for superior efficiency and coordinated control in a single solution. May 5, 2017, 2:00-3:00PM: After working as a fashion model for years, Michelle Easter started college from scratch at the age of 26. After transferring to Stevens Institute of Technology, she earned her degree in Mechanical Engineering and now works as a Mechatronics Engineer for NASA’s Jet Propulsion Laboratory. She is currently the cognizant engineer for the Sentinel-6 secondary calibration system actuator, and focuses on research and development of actuated mechanisms for instruments and small spacecraft. Abstract: Mechatronics is the intersection of mechanical, electrical and software engineering, including actuated mechanisms with embedded feedback control systems. The applications for such an inherently interdisciplinary field are broad, touching every aspect of a flight project, down to designing ground-based mechatronic systems to test the design of flight ones. This talk will introduce some of the mechatronic systems that Michelle has contributed to in her two years at JPL, as well as the unconventional path she took to obtain the education and experience necessary to become a Mechatronics Engineer. March 24, 2017, 1:00-2:00PM: As a young girl, Ali Guarneros Luna grew up in Mexico and immigrated to California with her family. After graduating from San Jose City College with her A.A., she transferred to San Jose State University’s Department of Engineering, graduating with a B.S. In Aerospace Engineering in 2010 and a M.S. in Aerospace Engineering in 2013. She began her career with NASA Ames Research Center as a intern working with the Center’s Chief of Technology office. Her work includes being mission manager for the TechEdSat project; managerial/oversight on technical and programmatic aspects of the NASA/Ames-MRMSS Project; managerial/oversight on technical and programmatic aspects of the NASA/Ames-Nodes Project. Abstract: Overview of her path to NASA Ames Research Center and current research projects. In her role as the ESD Control Program Manager in Ames’ Quality and Mission Assurance Division, she oversees the SOAREX series team and supports the Orion Thermal Protection System as an S&MA lead for the heat shield sensor. July 22, 2016, 1:00-2:00PM: Growing up in a small, rural town in upstate New York, Kate McMurtry was a world away from government or industry influences in science, technology or engineering. Now, as branch chief of operations engineering at NASA’s Armstrong Flight Research Center, she is responsible for planning, directing, and coordinating the technical and administrative functions for the branch. 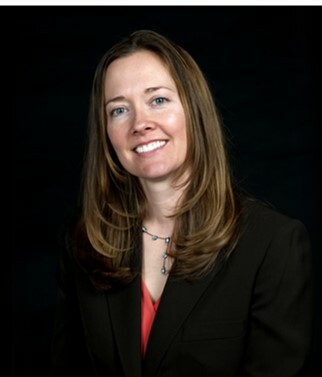 McMurtry started her career in 2004 as a U.S. Air Force officer working developmental engineering at Edwards Air Force Base, CA, for the Airborne Laser Program. She ended her military career as a captain and received numerous awards for her service. Although McMurtry received her Bachelors of Science in Chemical and Petroleum Engineering from the University of Pittsburgh in 2003, she found her true interest in aeronautics while working for both the Air Force and NASA. She received a Masters in Business Administration in 2010, and obtained a Masters in Arts in Management and Leadership in 2009, both degrees from Webster University. McMurtry is a certified private pilot, and a member of the Society of Flight Test Engineers, Ninety-Nines, and the Experimental Aircraft Association. Abstract: Career influences will be discussed, including the benefits of joining and participating in professional organizations, networking, actively developing healthy work relationships. 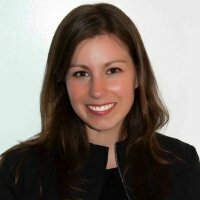 Kate will discuss her career path, lessons learned, take-aways, and her overall career development perspective. She will also touch upon the Operations Engineering Branch at Armstrong, discussing and providing some information on current activities. June 24, 2016, 1:00-2:00PM: For as long as she can remember, Jennifer Cole has been “hooked on anything that flew” – from the roaring A-10 Thunderbolts and A-4 Skyhawks to the helicopters that flew over her home near Willow Grove Naval Air Station outside of Philadelphia, Penn. During a 16-year career at NASA’s Armstrong Flight Research Center, Jennifer has served as a principal investigator, chief engineer, branch chief, and, most recently, a project manager. Her passion for flight has been nurtured through her involvement with projects such as the X-38 Crew Return Vehicle and the X-43A Hyper-X vehicle, as well as Armstrong’s F/A-18 jet fighter projects, including programs in autonomous formation flight and automated aerial refueling. Abstract: ARMD will be discussed, including its role within the Agency, current programs and projects, as well as the new X-Plane initiative. The NASA Research Centers will also be covered, including their location, and role within ARMD. The talk with conclude with summary remarks on a NASA Career. 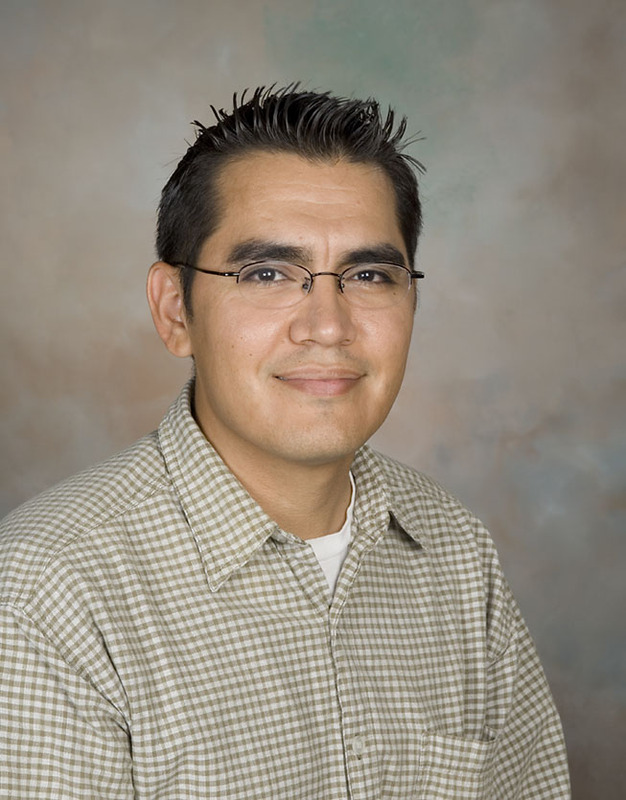 May 12, 2016, 1:00-2:00PM: Dr. Kevin Sato received his B.S. degree in Microbiology from UCLA. He then worked for 2 years in biotechnology prior to starting graduate work. Dr. Sato received his Ph.D. from the University of California, Irvine where he studied the cellular and molecular bases for cell transformation and tumorigenesis. After completing his graduate work, he was an American Cancer Society and California Breast Canter Research Project Post-Doctoral Fellow at The Scripps Research Institute, (San Diego, CA) where he investigated the regulation of the human cell cycle. Later, Dr. Sato joined the Lockheed Martin team at NASA Ames Research Center (Mountain View, CA) where he managed the science definition, operations, and integration of space biology researchers’ experiments on the Space Shuttle and International Space Station. This work earned him an award from the NASA Astronaut Corp called the “Silver Snoopy”. Currently, Dr. Sato is the Chief Scientist for the FILMSS/Wyle contract at NASA ARC where his primary NASA role is as the Senior Project Scientist for NASA Space Biology, supporting strategic planning and execution of space flight biology mission for low Earth orbit and to deep space. 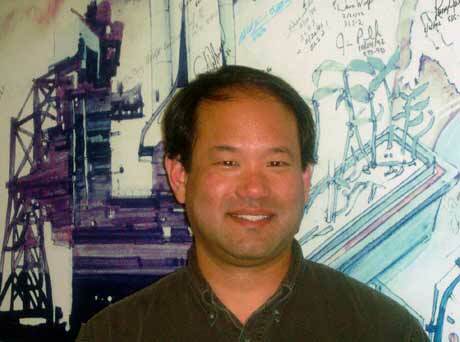 Dr. Sato has served on the Governing Board for the American Society for Space and Gravitational Research (ASGSR). Abstract: Humans are naturally curious. We all like to explore the world around us, and we have all looked up at the night sky and asked, “what is out there and beyond the bounds of gravity?” Over the past several decades we have sent unmanned probes into the deeps of space and sent humans on scientific missions to the moon and around the Earth to find the answers to these questions. From the early days of human space exploration, scientists have observed changes in physiological functions, such as bone loss and immune dysfunction. Finding the answers to the root cause of these physiological changes is critical for safe long duration and deep space exploration by humans and for commercialization. This presentation will give an overview of the space biology of human space exploration and associated areas of biological research that are being conducted. Also, it will provide a view of the scientific, engineering, operational, and administrative capabilities and work that goes into conducting a scientific research mission for the International Space Station and beyond. May 6, 2016, 1:00-2:00PM: Christina Diaz is a systems engineer at NASA’s Jet Propulsion Laboratory. Working at JPL for the past three years, she has been involved in space environments modeling and analysis, high altitude balloon design, and Cubesat mission assurance. She now works on the Mars 2020 team in the Payload Office as an instrument engineer for RIMFAX, a ground penetrating radar, that will help us understand the subsurface on Mars. She graduated from Cal Poly in 2013 with her Bachelors and Masters in Aerospace Engineering. While at Cal Poly, she was heavily involved in Society of Hispanic Professional Engineers. In her free time, she heavily participates in STEM outreach – strongly advocating for quality resources and opportunities for underrepresented groups in STEM. She was recently featured in Vanity Fair Mexico’s March issue as one of 20 women who are breaking down gender stereotypes. Abstract: What motivates you? What drives the fire under your feet? 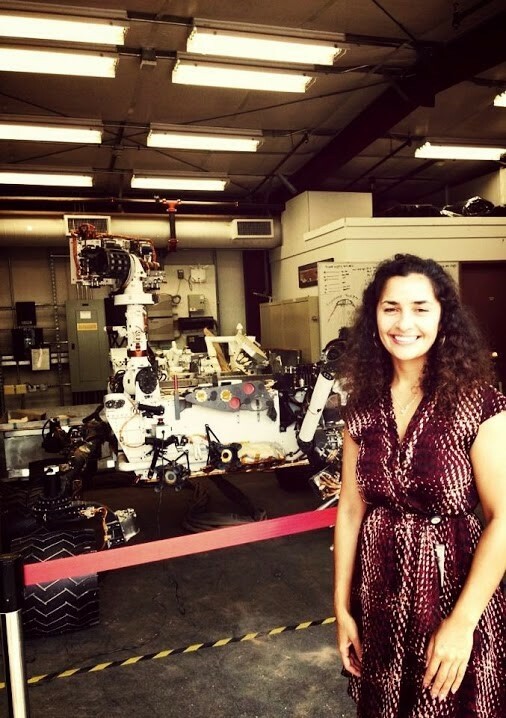 Christina Diaz, a NASA JPL systems engineer, operates on coffee, passion and self-drive. Engineering isn’t easy. We all have our own roads to traverse and our own obstacles to face, but it’s nearly impossible without inner motivation. In this webinar Christina will discuss her path to college, graduate school, and ultimately NASA’s Jet Propulsion Laboratory, and how “seeing the bigger picture” led to her current role on Mars 2020’s Payload team. April 8, 2016, 1:00-2:00PM: Dr. Anita Sengupta is an engineer at NASA’s Jet Propulsion Laboratory (JPL). She has been developing entry system and propulsion technologies for Mars, Venus, and deep space missions for the past decade. She is currently the Project Manager for the Cold Atom Laboratory Mission, an ultra-cold quantum gas experiment to be launched to the International Space Station in 2016. She previously was the lead systems engineer for the MSL supersonic parachute, leading the development of a Mars Ascent Vehicle, the principal investigator for the Orion Vehicle Drogue Parachute Subscale Test Program, entry system lead for a Venus lander mission, lead systems engineer for a Mars Sample return mission concept, and Co-Investigator of several plasma propulsion development programs including VHITAL, NEXIS, and Prometheus 1. Prior to joining JPL she worked in industry on the Delta IV Launch Vehicle, X37 Vehicle, Space Shuttle, and Commercial Communication Satellites (XM-radio). She received her PhD and MS in Aerospace Engineering from the University of Southern California, where she is currently a Research professor in the Astronautics and Space Technology, Viterbi College of Engineering. She received her BS in Aerospace Engineering from Boston University. Abstract: On August 5th 2012, NASA landed its most capable robotic geologist on the surface of the Red Planet. The Mars Science Laboratory (MSL) mission landed a 2000 lb rover, the size of a compact car, to explore the planes of Mars. The rover, aptly named Curiosity, will search for organic compounds, characterize the climate and geology, and continue the search for life. One of the most challenging aspects of the mission, from an engineering perspective, was safely landing the rover on the surface. The entry descent and landing (EDL) system used a heat shield to accommodate its hypersonic entry conditions, followed by a supersonic parachute, and eight retro rockets for the powered descent phase. For its final terminal descent, a maneuver called the sky crane was used where the rover was lowered on tethers for touchdown. The talk will describe the motivation for Mars Exploration and how the MSL EDL engineering challenges were tackled with computational modeling and cutting edge experimental techniques. Abstract: In his presentation, George will talk about the intern experience at NASA, some of the interesting projects he has worked on and about how to get the most from your internship. Abstract: OSSI is a NASA-wide system for the recruitment, application, selection and career development of undergraduate and graduate students primarily in science, technology, engineering and mathematics disciplines. The OSSI officer will provide guidance to students on how to navigate through the OSSI website, search for NASA student opportunities, and fill out an on-line application. September 4, 2015, 2:00-3:00PM: Dr. Peter Suh is the lead controls designer for the X-56A flutter suppression experiment. He graduated with his PhD from Georgia Tech in 2014. His interests are in aeroservoelastic modeling, robust control, and wing morphing. Abstract: This presentation introduces a modeling and simulation tool for aeroservoelastic analysis of rectangular wings with trailing edge control surfaces. The inputs to the code are planform design parameters such as wing span, aspect ratio, and number of control surfaces. Using this information, the generalized forces are computed using the doublet lattice method. Using Roger’s approximation, a rational function approximation is computed. The output, computed in a few seconds, is a state space aeroservoelastic model which can be used for analysis and control design. The tool is fully parameterized with default information so there is little required interaction with the model developer. All parameters can be easily modified if desired. Modal regulators and deformation trackers are designed for an open-loop fluttering wing model in this presentation. The regulators are designed with modal coordinate and accelerometer inputs respectively. The modal coordinates are estimated with simulated fiber optics. The robust stability of the closed loop systems is compared in a structured singular-value vector analysis. Performance is evaluated and compared in a gust alleviation and flutter suppression simulation. For the same wing and flight condition two wing-shape-tracking control architectures are presented, which achieve deformation control at any point on the wing. Abstract: Of all the types of drag, induced drag is associated with the creation and generation of lift over hide wings. Induced drag is directly driven by the span load that the aircraft is flying at. The tools by which to calculate and predict induced drag we use were created by Ludwig Prandtl in 1903. Within a decade after Prandtl created a tool for calculating induced drag, Prandtl and his students had optimized the problem to solve the minimum induced drag for a wing of a given span, formalized and written about in 1920. This solution is quoted in textbooks extensively today. Prandtl did not stop with this first solution, and came to a dramatically different solution in 1932. Subsequent development of this 1932 solution solves several aeronautics design difficulties simultaneously, including maximum performance, minimum structure, minimum drag loss due to control input, and solution to adverse yaw without a vertical tail. This presentation lists that solution by Prandtl, and the refinements by Horten, Jones, Kline, Viswanathan, and Whitcomb. April 24, 2015, 1-2 PM: Dr. Andrew Klesh is a mission architect at NASA’s Jet Propulsion Laboratory in the Planetary Mission Concept group. 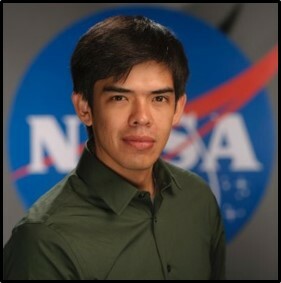 His current research focuses on deep space nanospacecraft science and implementation, and he is the PI on the INSPIRE deep space CubeSats, and Chief Engineer of MarCO, the first nanospacecraft headed to Mars. He also supports robotic and scientific research in the Arctic, including a novel buoyant rover which explores underneath lake and sea ice. 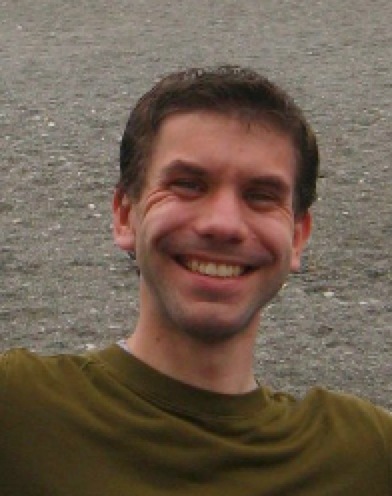 Before starting at JPL, Andrew served as a postdoctoral fellow at JAXA as a member of the Hayabusa Astrodynamics team, and an IKAROS mission team member. 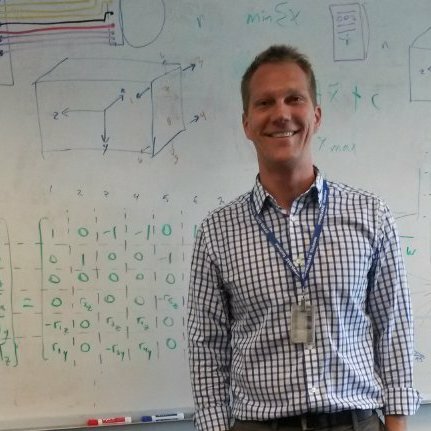 Prior to JAXA, Andrew was postdoctoral fellow and chief engineer of the University of Michigan’s Radio Aurora Explorer CubeSat project. Dr. Klesh received his PhD in aerospace engineering, masters degrees in space systems & aerospace engineering, and bachelors degrees in aerospace & electrical engineering, all from the University of Michigan. Abstract: Underneath the Arctic ice lies unexplored terrain – one as treacherous as the lunar surface, yet harboring lifeforms that may be similar to what we could find on other worlds. Our team has been exploring shallow lakes and sea ice near the “top-of-the-world” with both sampling mechanisms, and a brand new robotic rover, able to drive upside-down on the underside of this ice. The rover allows us to have a virtual view of this new terrain, and learn how to explore icy-worlds elsewhere in the solar system. In this talk, we’ll discuss challenges of arctic expeditions, and the successes we’ve had with the Buoyant Rover. The close ties with astrobiology, geology, and climate science will also be illustrated to show how a complicated engineering design really goes back to a very simple hypothesis. 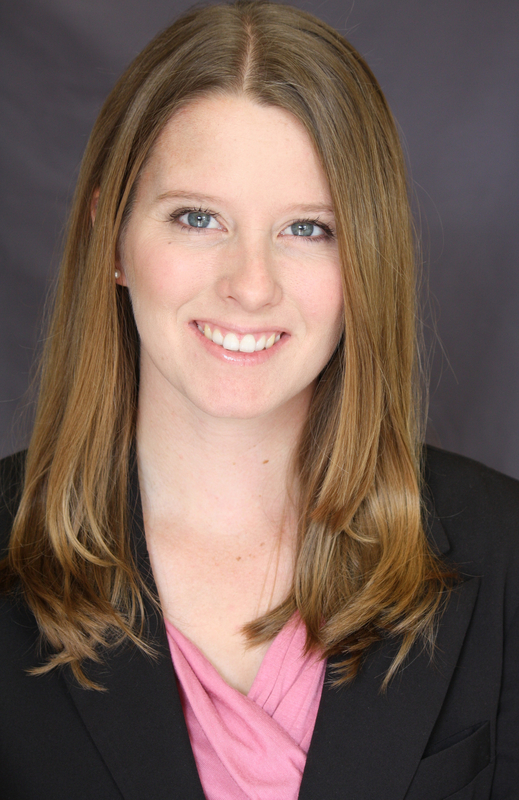 March 13, 2015, 1-2 PM: Dr. Morgan Cable is a Research Scientist at the NASA Jet Propulsion Laboratory. She earned her Ph.D. In Chemistry from the California Institute of Technology in 2010, where she investigated life in extreme environments. Her current work focuses on organic and biomarker detection strategies, through both in situ and remote sensing techniques. Abstract: Many of the moons of Jupiter and Saturn, called Icy Worlds, have crusts of ice encasing subsurface liquid water oceans. These Ice Worlds have all three ingredients necessary to life as we know it–water, energy, and chemistry. At JPL work is being conducted both in the laboratory and in the field to better understand these Icy Worlds, and whether life may have existed there, or might even be present today. This presentation will examine these explorations, findings and future possibilities. February 20, 2015, 2-3 PM: Dr. Jessica E. Koehne is a research scientist at the NASA Ames Center for Nanotechnology where she leads the Nano-Biosensors Group. Her research interests include the interface between nanoscale materials and biological systems with an emphasis on biosensing. Dr. Koehne has worked for 10 years on a carbon nanofiber nanoelectrode based sensor platform for the detection of DNA, rRNA, proteins and neurotransmitters with applications ranging from point-of-care to homeland security. Dr. Koehne has published 30 peer reviewed articles in the field of nanotechnology and has received many awards for technical achievement including the 2011 Presidential Early Career Award for Scientists and Engineers. Abstract: NASA missions require sensor technologies that are compact, light-weight and with low power consumption while maintaining high sensitivity. The use of nanomaterials and nanotechnology helps NASA achieve this requirement. Carbon nanotubes (CNTs) have shown interesting electronic, mechanical, optical, thermal, and other properties and therefore have been pursued for a variety of applications by the nanotechnology community ranging from electronics to nanocomposites. We have been pursuing development of chemical and biosensors using carbon nanotubes for the last several years and this talk will present our progress to date. In the case of chemical sensors, we use an interdigitated electrode as a chemiresistor, where purified single-walled carbon nanotubes (SWCNTs) serve as the conducting medium. When the chemiresistor is exposed to a gas or vapor, the change in resistance is recorded; if SWCNTs do not respond to a particular gas or vapor, then doping or functionalization strategies are used. A sensor array is constructed with 32-96 sensor elements with chemical variations across the sensor array. In the sensor training mode, a pattern of resistance changes is generated from the sensor array for a particular analyte at a given concentration and humidity level; this needs to be repeated for various concentrations and humidities and the generated information is stored for later use. In the identification mode, a pattern recognition algorithm is used to identify that analyte from the background using the information stored during training. This talk will present examples from our work to demonstrate the functioning of the sensor. This sensor has also been miniaturized and integrated in an iPhone which will be described. January 30, 2015, 2-3 PM: Dr. Matt Sorgenfrei recently graduated from UC Davis in 2012 with a PhD in Mechanical Engineering. He is working on NASA’s EDSN mission set to launch at the end of the first quarter. Dr. Sorgenfrei conducts research on control theory and avionics in the Generalized Nanosatellite Avionics Testbed (GNAT) lab which he started in Spring 2013. Abstract: A growing community of scientists are interested in collecting data from multiple points in low Earth orbit (LEO), necessitating the production and management of swarms or constellations of spacecraft. The budgetary constraints currently levied on many space organizations makes the use of smaller spacecraft for these science missions ideal, however using comparatively small spacecraft is not without its consequences. In particular, these spacecraft are subject to much stricter mass, volume, and power constraints, making integration and operation of advanced science payloads more complicated. This presentation will study the challenges and constraints associated with deploying a swarm of CubeSat-class spacecraft into LEO for the purpose of performing a simple space weather experiment.